Bălteanu, D & Grigorescu, I 2006, ‘The impact of Changing land Use upon the Environment in the Metropolitan Area of Bucharest. 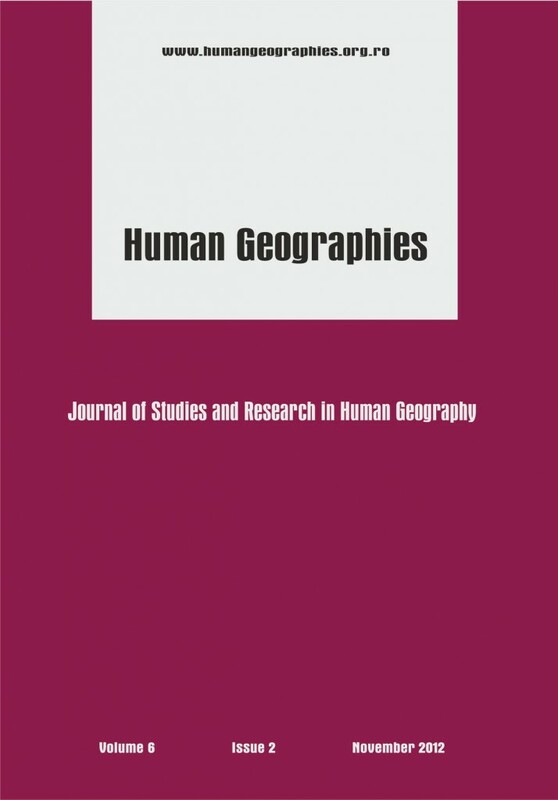 Preliminary Considerations’, Romanian Review of Regional Studies – Journal of the Centre for Regional Geography, II, Cluj-Napoca. Bălteanu, D & Popovici, EA 2010, ‘Land use changes and land degradation in post-socialist Romania’, Romanian Journal of Geography, vol. 54 (2), Bucharest, Romania, pp. 95-107. Bălteanu, D, Popescu, M & Urşanu, (Popovici) EA, 2005, ‘Land use in Romania under the Transition to the Market Economy’, Analele Universităţii Bucuresti, Anul LIV, pp. 99-112. Bălteanu, D, Popescu, M & Urşanu, AE 2004, ‘Land tenure and relations in Romania’, in An International Encyclopedia of Land Tenure Relations for the Nations of the World, IV, The Edwin Mellen Press, ISBN Lewiston, Queenston, Lampeter, UK, 07734-65391, pp. Degorska, B 2004, ‘Spatial conflicts between the shaping of open spaces and the socio-economic development in the metropolitan area of Warsaw’, in András, Donát, Kovacs (eds), New Aspects of Regional Transformation and the Urban-Rural Relationship, Centre for Regional Studies of the Hungarian Academy of Sciences, Pecs, Hungary. Dragotă, CS & Grigorescu, I 2010, Climatic hazards in the Bucharest Metropolitan Area. The assessment of the main extreme climatic phenomena in the Bucharest municipality and its surroundings, LAP Lambert Academic Publishing, ISBN 978-3-8433-6911-4, paperback, 108 p.
Eastman, JR 2006, Idrisi Andes – Guide to GIS and image processing, Manual Version 15, Clark Lab, Clark University, USA. Erdeli, G, Cândea, M, Braghină, C, Costachi, S & Zamfir D 1999, Dicţionar de Geografie Umană, Edit. Corint, Bucureşti. Geografia României 2005, vol. V, Edit. Academiei Române, Bucureşti. Government Ordinance no. 53/2002 regarding the approval of the Framework Statute of the territorial-administrative units. Grigorescu, I 2008, ‘Environmental issues in Bucharest Metropolitan Area’, Journal of The Geographical Society of Hosei University, 40, pp. 11-21, Tokyo, Japan. Irwin, GE 2003, Using GIS to model patterns of urban/rural land use change, Ohio Geospatial Technology Conference for Agriculture and Natural Resources Holiday Inn Worthington, Columbus, Ohio March 24-26, 2003. Janáč, J, Jeleček, L & Chromý, P 2010, ‘LUCC in East Central and Southeast Europe post-communist countries from 1960s to the end of the 20th century and its historic-geographical roots’, Acta Universitatis Carolinae, Geographica, no.2, 19-30. Kamal-Chaoui, L & Alexis, R (eds) 2009, ‘Competitive Cities and Climate Change’, OECD Regional Development Working Papers N° 2, 2009, OECD publishing. Law no. 286/2006 of July 2006 amending and supplementing the Law no. 215/2001 of the local public administration. Leetmaa, K 2008, Residential Suburbanization in the Tallin metropolitan area, Dissertation thesis, Tartu University Press, 278p. Ourednicek, M 2007, ‘Differential suburban development in the Prague urban region’, Geogr. Ann., 89 B (2): 111–126. Petsimeris, P 2002, ‘Population deconcentration in Italy, Spain and Greece: A first comparison’, EKISTIKS, the problems and science of human settlements, Defining success of the city in the 21st century, vol. 69. Popovici, EA, 2008, ‘Factorii principali ai schimbării utilizării terenurilor în România în perioada post-socialistă’, Revista geografică, T. XIV-XV – 2007-2008, Institutul de Geografie, Edit. Academiei Române, Bucureşti, pp. 123-128. Premysl, S 2007, ‘Selected driving forces of long-term land use changes in Czechia, Man in the landscape across frontiers’, Proceedings of the IGU-LUCC Central Europe Conference. Soler, L de Souza & Verburg, PH 2010, ‘Combining remote sensing and household level data for regional scale analysis of land cover change in the Brazilian Amazon’, Regional Environmental Change, SpringerLink. Soós, G & Ignits, G 2003, ‘Suburbanization and Its Consequences in the Budapest Metropolitan Area’, Third EuroConference The European City in Transition, The City and the Region, Bauhaus-Universität Weimar, Germany, Supported by the European Commission. Sykora, L 2006, ‘Urban Development, Policy and Planning in the Czech Republic and Prague’, in Altrock, U, Guntner, S, Huning, S & Peters, D. (eds. ), Spatial Planning and Urban Development in the New EU Member States. From Adjustment to Reinvention, Ashgate Publishing Limited, England. Turnock, D 1998, ‘Romania’, in Turnock D (ed) Privatization in Rural Eastern Europe. The process of restitution and restructuring. Edward Elgar, Cheltenham. van den Berg, Leo, et al. 1982, Urban Europe – A study of Growth and Decline, Pergamon Press, pp 162. This post has already been read 3206 times!